Perusing through bookstores today brings about the difficult decision of choosing between two artfully designed book covers. Obviously a great book is derivative of its prose inside-not its cover-however, one can appreciate the fortuitous marriage of graphics and bold text. Books have become decorative objects themselves, a testament to the photogenic and aesthetically pleasing interior shots of bookshelves organized by color. Yet, when did book covers become art? Browsing through online marketplaces-by no means providing a concise history-17th century vellum book covers adorned with decorative bindings oddly pave the way for mass produced minimalist book covers of the 1960’s. Book covers often incorporate artworks as a means to time stamp its content, bridging parallel artistic and literary movements in a modern afterthought. Who can resist the pairing of a Grand Manner portrait with an Oxford Classic reedition of a Bronte sisters’ novel? Some are more adventurous: a cubist Picasso marketing Henry James’ Portrait of a Lady, the iconoclast artist provocatively contesting James’ Brahmin persona. While using art as a marketing strategy, book covers with paintings provide a sensory prelude to the book. Below find both approaches to book cover art, works from FADA’s online inventory matched with your high school English class staples. 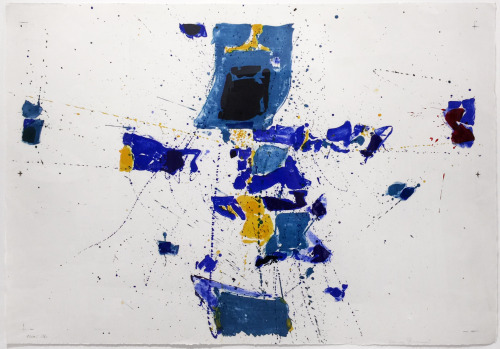 Sam Francis, First Stone, Jonathan Novak Contemporary Art. Click to inquire. Abstract Expressionist Sam Francis’s First Stone is the product of Post-War angst resonant in Orwell’s dystopian novel. Leonard Baskin’s Saint Anthony with the Red Monster internalizes St. Anthony’s temptation: a biblical precedent to Conrad’s cautionary tale of colonial greed. The intense texture of the woodcut medium, coupled with bold ink, energizes its visual ambiguity. 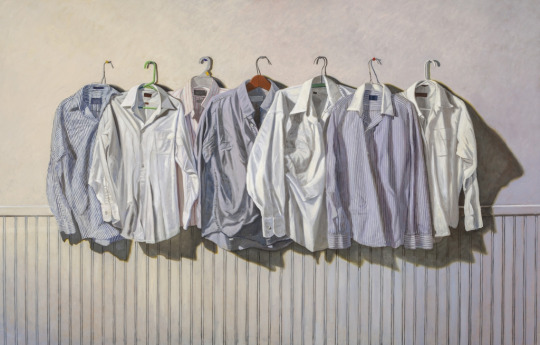 Eric Forstmann, Seven Shirts at 12:30 am, Oil on board, Eckert Fine Art. Click to inquire. Contemporary realist Forstmann’s Shirts embodies the Middle-Class monotony immortalized in Miller’s play. 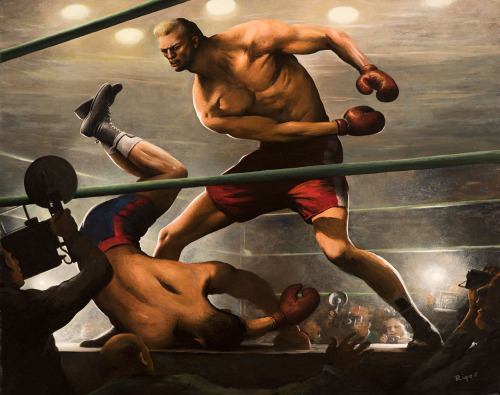 Robert Riggs, “Goliath hit him with the first clean right hand of the evening,” Oil on canvas, Godel & Co. Click to inquire. Sport is play: boxing a breeding ground for strategy evoked in the classic how-to. Armin Hansen, "Anchorage" 1921,” Etching, Trotter Galleries. Click to inquire. 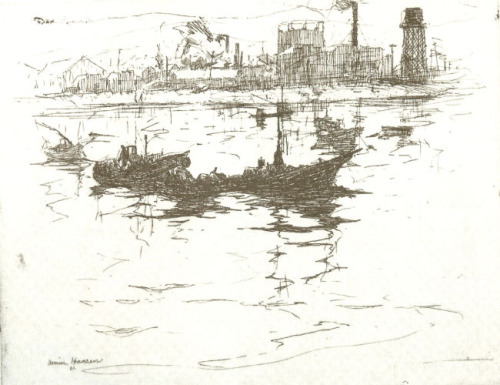 Hints of industry are masked in the background: a colorless scene guided by the spidery quality of Hansen’s etching, amplifying Sinclair’s modern qualms. 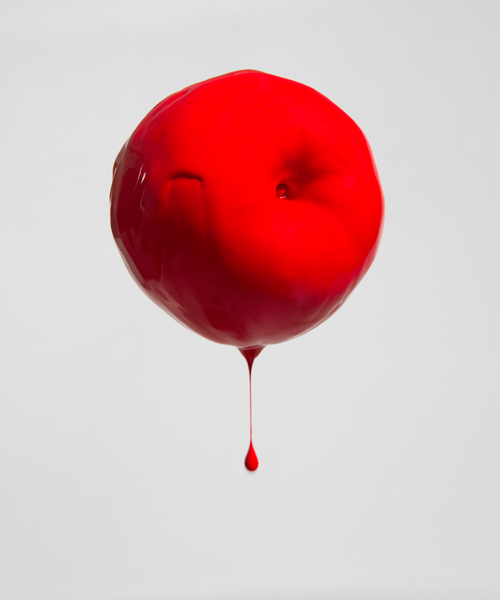 Sean Roh, Meltdown, Archival pigment print, PYO Gallery LA. Click to inquire. Sean Roh’s laconic print, though vibrantly red, captures the essence of Capote’s murder mystery: the methodical, and fantasized summary of an American crime. 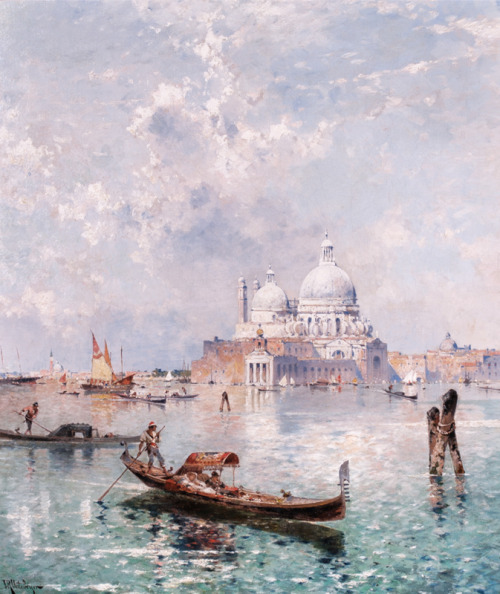 Franz Richard Unterberger, Santa Maria Della Salute with Gondoliers on the Grand Canal, Oil on canvas, Vallejo Gallery. Click to inquire. The sublimity of Unterberger’s Venice vista juxtaposes Mann’s sickly tale. A visual anthesis to Mann’s very modern message, the painting serves as a transition from the idyllic undertaking of the Grand Tour to the intensity of European Relationships post Mann’s 1912 publication. Andres Nagel, Maria Christina Bridge, Collage, Tasende Gallery. Click to inquire. 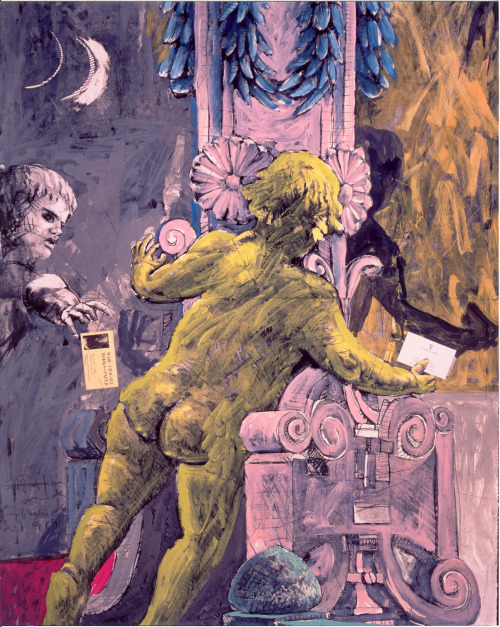 Similarly, Nagel’s collage seemingly teases Aschenbach’s illicit obsession with young Tadzio: replete with Italian decorative motifs akin to the book's Greco-Roman allusions. A very modern medium paired with a very modern book. While creators of the paintings or books kept the other in mind, even though books-like the bible, or Shakespeare for the Pre-Raphelites-are expounded upon in paintings, creative expression through either medium often encounters overlap. While we're leaving book cover design to the professionals, works of art, when broken down to their essentials: color, line, composition, reveal their inherent marketability.